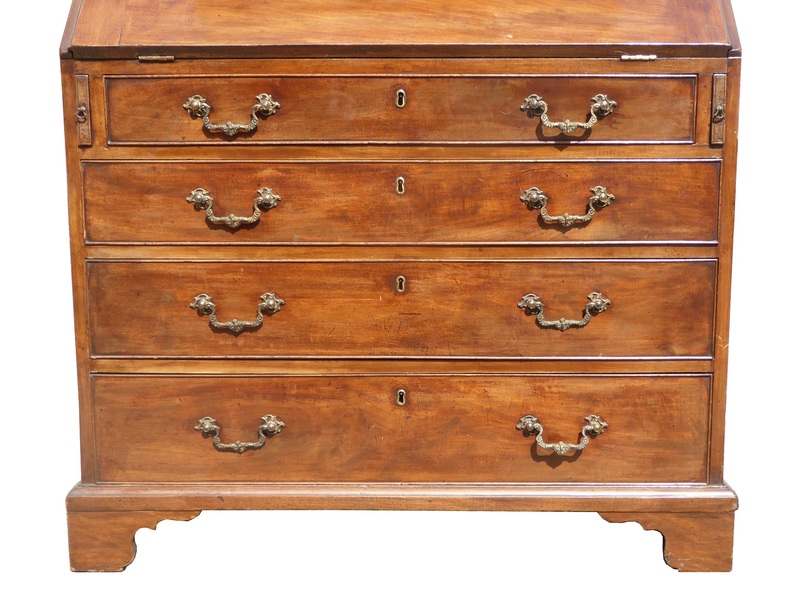 SKU: S25-290. 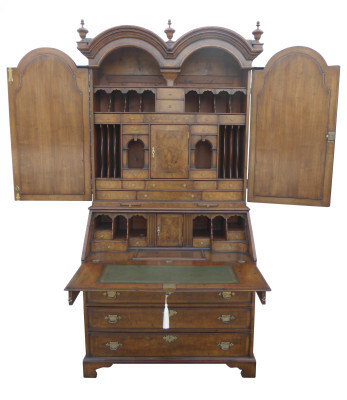 Category: Bureau Bookcases & Secretaires. 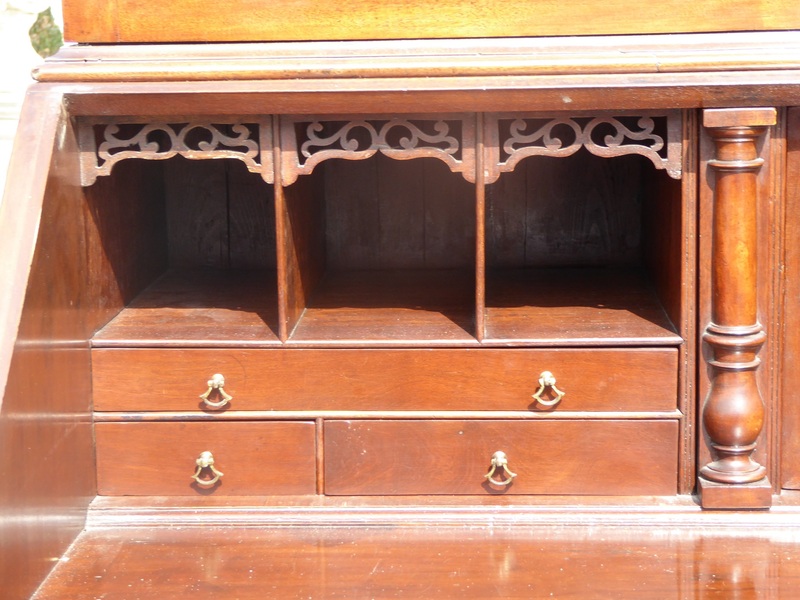 Tags: bookcase, bureau, george, iii, mahogany. 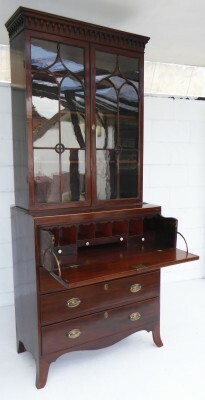 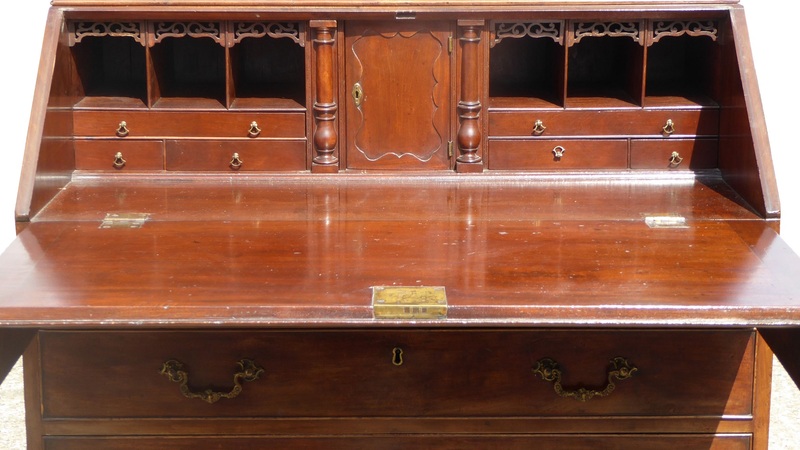 For sale is a good quality George III Mahogany Bureau Bookcase. 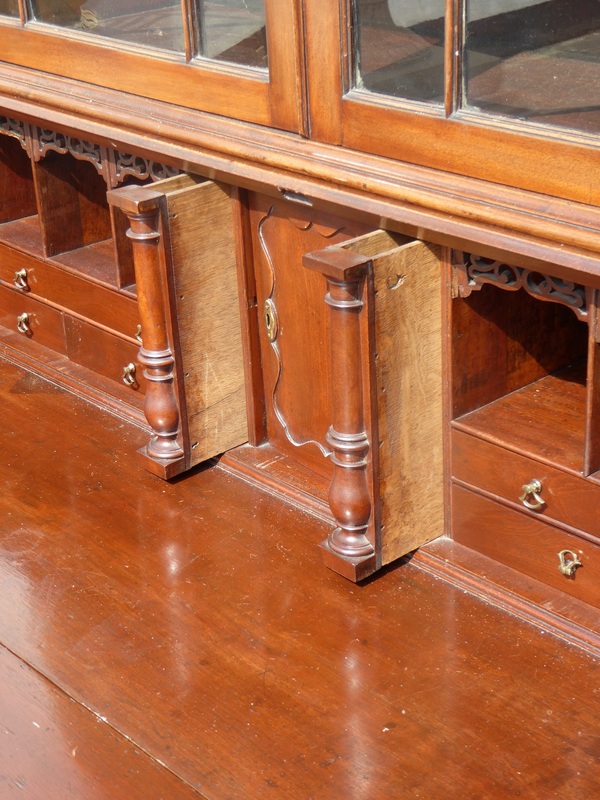 The top of the bookcase has an ornate pediment above two glazed doors, opening to reveal adjustable shelves. 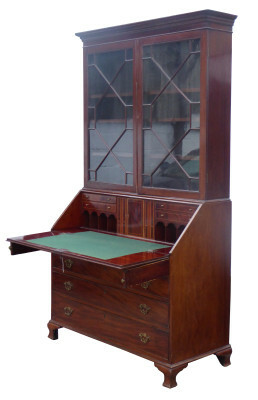 Below this is the bureau section, with the fall front opening to reveal a fully fitted interior comprising of drawers, pigeon holes and a cupboard. 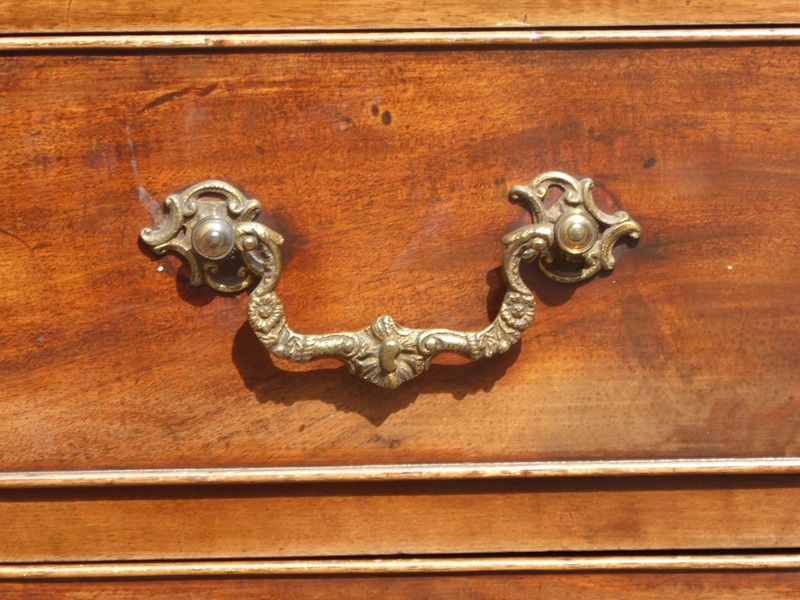 This piece is in good condition, with minor wear commensurate with age and use.